The first round of games in the MFL League Cup has thrown up an intriguing clash with Sporting Khalsa paired with neighbours Walsall Wood. The match takes place at the Aspray Arena on Tuesday September 25 (kick off 7.45pm). 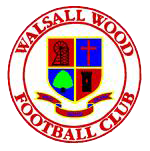 Walsall Wood romped to the Midland Football League Division One title last season and knocked Khalsa out of the cup in a 2-1 win at the temporary home of Castlecroft towards the end of the season. Down the years there have been some absolute crackers between the two sides and this one promises to be no exception.